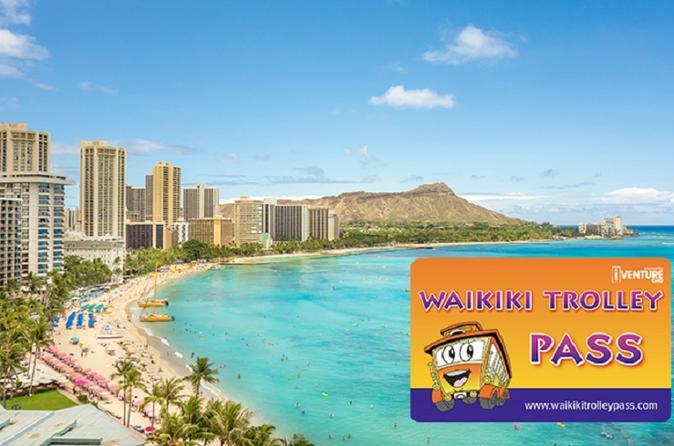 Enjoy unlimited Waikiki Trolley rides plus entrance to 15 fantastic on route attractions all for one low price. Choose a 1 or 2 day pass to suit your stay. Enjoy watching dolphins at Sea Life Park Hawaii, take in epic views atop Diamond Head Crater, explore historic Pearl Harbor and much more. Opt for the 2 day Pass to also enjoy a sightseeing or shopping day tour too! Hop on one of the 5 Waikiki Trolley lines to start your adventure! Purchase a 2 day pass and receive 20% off either the Majestic Circle Island or Pearl Harbor Remembered Day Tour.